Cramped up spaces to change clothes and trying to stay hygienic with just a few items is old news. This is what traditional camping trips have become for travelers throughout the world. The substitute to all these problems lies in glamping, which is fun and much more enjoyable for some due to the luxurious nature of it. Glamping or Glamourous Camping, is a new concept of luxurious camping, which is really kicking off among travelers in Australia. With glamping sites located amongst many amazing landscapes in Australia, combined with luxurious tents, soft linens and delicious meals under the scintillating stars, promises to make your trip a memory that will last a lifetime! Mentioned below are some of the best Glamping sites in Australia, offering top-notch facilities in perfect natural settings. 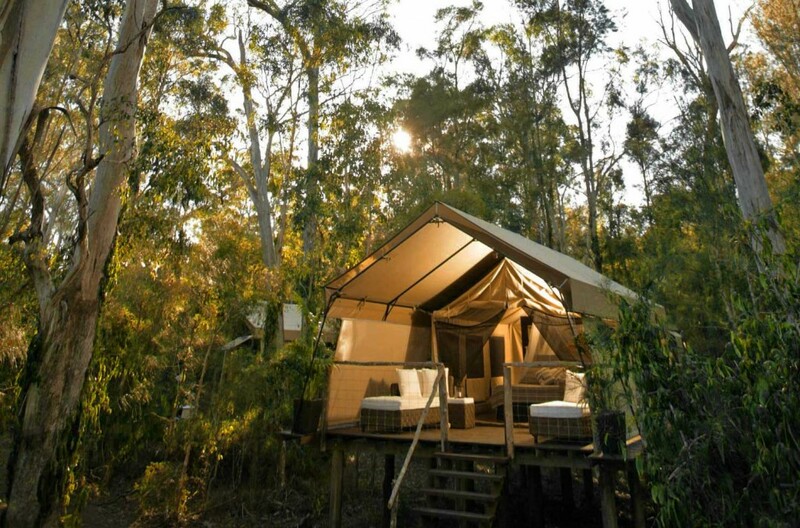 Ketchup’s Bank Glamping – Located amidst beautiful mountains of World Heritage National Parks near Brisbane, the glamping site has been developed as eco-sustainable camps, with two tents providing the ultimate glamping experience. The traditional camping experience, combined with tasty cuisines and luxurious tree houses, truly make your Glamping trip worth every penny! Sal Salis – Located in Cape Range National Park in Western Australia, Sal Salis is a nine tent luxurious camp site inside the park. Its beach location among the coral reef makes it a perfect destination for adventurous activities such as sea kayaking, diving, and snorkeling. The cost is about $700 a night, which includes all the expenditures, from transfers to meals and adventure sports. The slogan of “Wild Bush Luxury” does all the advertising for the camp in a nutshell. The food served is prepared by trained chefs, offering different cuisines and tantalizing taste in the separate dining area, which is more like a Camping Banquet Hall. 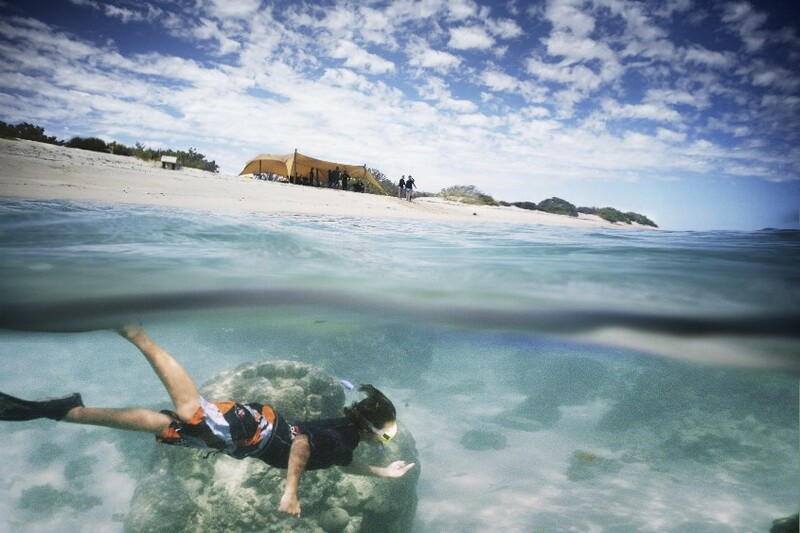 Eco–Beach – This amazing award-winning Glamping resort is located about 140 kilometers in The South of Broome and is set on a beautiful coast with sandy beaches and crystal clear waters. With its 25 Eco Villas and 30 Eco Tents, the site makes a perfect glamping choice for those who are planning to rejuvenate themselves by relaxing away from the fast-paced lifestyle. Eco-Beach is a natural paradise, with activities including yoga sessions, turtle-monitoring, whale watching, and kite surfing. It also has a beautiful pool by the coast-side with a bar and restaurant along with a massage parlor, making your glamping experience truly unforgettable. The mesmerizing location of Eco-Beach is also famous as a popular wedding destination. Longitude 131° – It might be the last on the list but it’s still one of the best Glamping locations Down Under. Australia is known for its mountainous and rocky regions, and Longitude 131° has the perfect location and scenic views because of it. The 15 tent luxurious glamping sites are located in the red desert of the UNESCO World Heritage Site of Uluru-Kata Tjuta National Park, amidst the Ayers Rock (Uluru). Witnessing the ever-changing colors of Uluru, with the changes in light is an experience you cannot miss out on! Longitude 131° has been rated as one of the best places in Australia to enjoy the sunrise and sunset while glamping, offering you a truly different out-of-this-world experience! 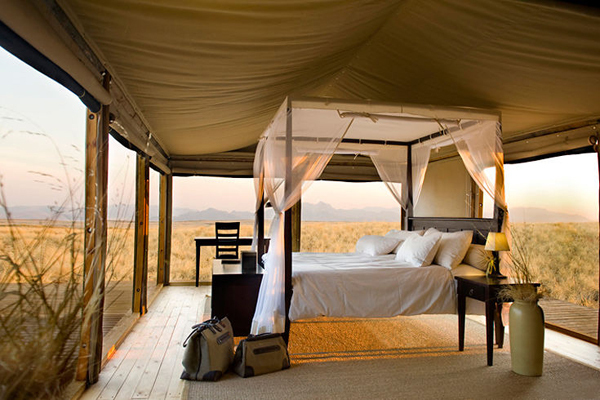 The glamping phenomena is quickly taking pace among travelers and is not only confined to Australia only. There are numerous glamping sites available, throughout the continents, providing a luxurious get-away for travelers, having different tastes of vacation! Thanks reading and don’t forget to comment and share below!